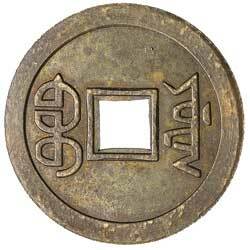 CHINA, Empire, Board of Public Works, pattern cash (1897) in brass (KM.TS1). Extremely fine. 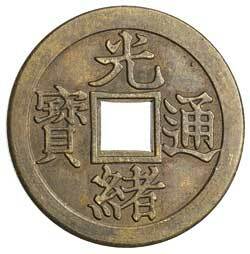 CHINA, Empire, Szechuan, silver dollar (1901-1908) (KM.Y.238). Very fine.